IDA Foundation is an independent social enterprise providing medicine and medical goods to healthcare organisations worldwide, at the best price possible. We recognize that in today's world, essential medicines remain out of reach for too many people. IDA bridges those gaps so that healthcare providers have access to quality products at a fair price. We distribute over 3000 different health products to customers and partners in over 130 countries. We work with international and local NGOs, large funding organisations, ministries of health and central medical stores, and smaller charity or mission hospitals. Headquartered in Amsterdam, we are a global organisation with over 275 employees representing 21 nationalities. We have offices in India, China, Nigeria and Democratic Republic of Congo, as well as representative agents in over 30 countries. We pride ourselves on our professional, diverse and multicultural team, which is passionate about our mission. Our Fact Sheet offers general information about our products and programmes. If you'd like detailed information about our strategy, structure, and organisational finances, please see our 2017 Annual Report. IDA Foundation's organisational values reflect what we believe and help to direct our work and our actions. Our values were identified by staff in Amsterdam and India, through a collaborative process that encouraged participation. The result? A clear and inspiring statement of our values that will help us create the future we want for IDA Foundation. We strive to make our values visible in our daily work, in how we interact with our colleagues and partners and, most importantly, how we serve our customers. 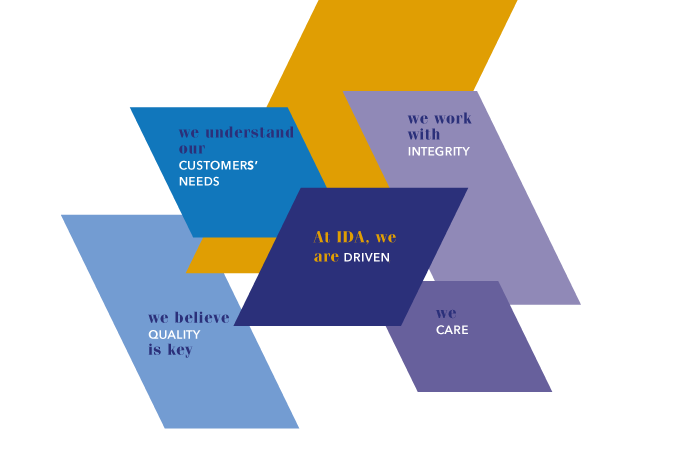 At IDA, we feel a strong sense of responsibility to act with integrity and to respect all those who have a stake in our success, including our customers, employees, suppliers and other partners. Transparency and communication on compliance matters is vital. It lets our employees know what is expected of them. We encourage them to speak freely about any issues. Externally, transparency is crucial to create a culture of trust with our customers, suppliers and other business partners. Our motivation to achieve our mission has a profound effect on the way we work. The IDA Code of Conduct serves as a guide for our business, but it also reflects the nature of our organisation and what we stand for. 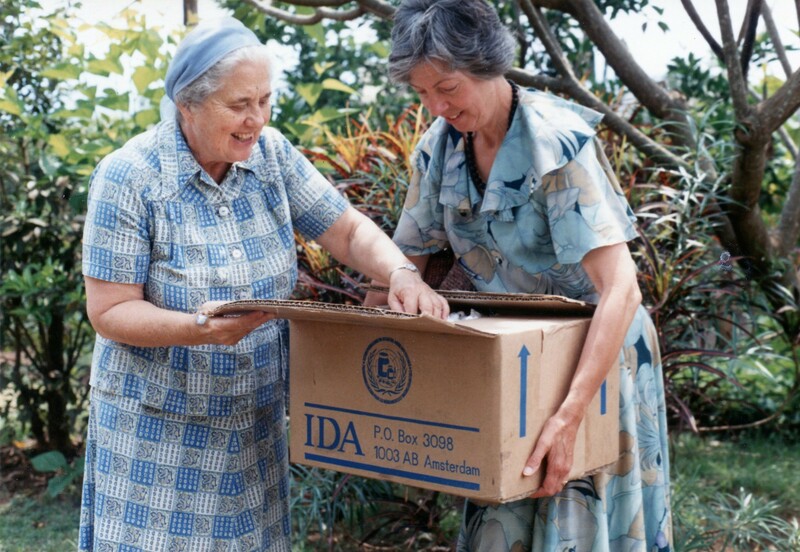 IDA's story began in 1972 with a group of pharmacy students at the University of Amsterdam who were determined to do something about the lack of access to quality essential medicines in the developing world. They established IDA Foundation, originally made up of a handful of volunteers and staff who worked in a small office in Amsterdam, shipping medicines to hospitals and medical centres in Africa. Within a few years, IDA’s activities had grown, requiring more office space and a warehouse. In 1985, we officially opened our location in the north of Amsterdam, where we are still today. IDA established an office in China in 1997, and in 2006 we expanded to India. Our Mumbai office now employs more than 100 people and handles purchasing, quality affairs, and logistics with our manufacturing sources in India and China. Other organisational milestones include being selected as the procurement agent for the Global Drug Facility (GDF) in 2007, and later for the Global Fund's Pooled Procurement Mechanism, in 2012. We continue to hold both of these roles today. More recently, in 2015, IDA was part of the Chemonics consortium that was awarded the USAID Procurement and Supply Chain Management (PSM) programme.